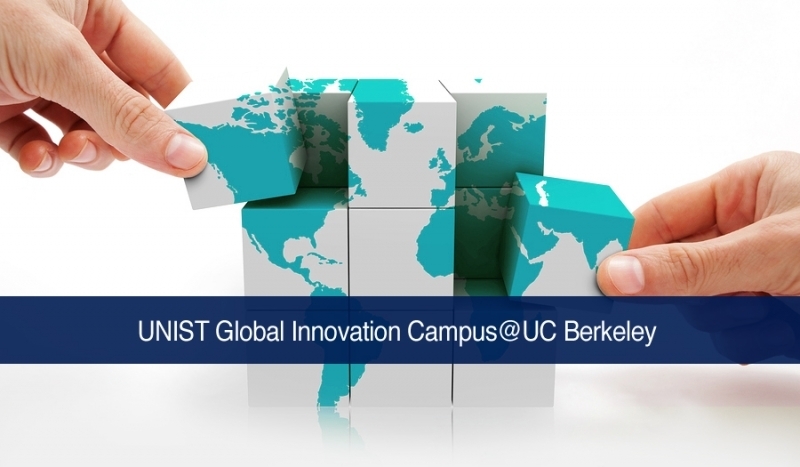 UNIST is now set to contribute to the global innovation networks, as it has been invited to participate in UC Berkeley’s new Global Innovation Campus Program (GICP). As one of the founding partner institutions for this global partner program, UNIST has set up a unique satellite campus, focused on technology and innovation at UC Berkeley. With a launch date of November 1st, 2015, the UNIST Global Campus at UC Berkeley would operate in coordination with universities from around the world to conduct research on climate change, world health, big data and urban studies. This program is designed to help aspiring entrepreneurs improve their ideas and entrepreneurial skills, all in a low-pressure environment. It is expected to help facilitate Big Data industry and to offer business opportunities for startups to grow and compete in international markets. A total of five global partners are currently participating in this pogram, including UNIST (Korea). The four other partner institutions are Philippine Development Foundation (PhilDev, Philippines), Universidade Federal de Minas Gerais (Brazil), Pontificia Universidad Católica de Chile (Chile), and Shantou University (China). These partner institutions have been selected for this program by UC Berkeley and will be jointly contributing to this new model for Global Entrepreneurship & Innovation. These participating institutions will be sending faculty to learn the Berkeley Method of Entrepreneurship in order to build upon new teaching models in their own locations. Through this, each partner can leverage the UC Berkeley ecosystem in support of their own unique plans to develop globally innovative innovation support programs. This will be also the perfect starting point for students to begin their entrepreneurship journey, as they will learn more about innovative startups in Silicon Valley according to their own interests independently. Currently, Prof. Beomseok Nam (School of Electrical and Computer Engineering, UNIST) and five of his researchers are residing at UC Berkeley to help provide students with a broad platform for Big Data analytics technology.